The first way is to tell the IDE to automatically organize the imports on the fly. This means that when you are editing a file, if the IDE sees some imports left unused, it automatically removes them, so you don’t have to worry about manually doing that. You can also remove the unused imports when committing in Git. 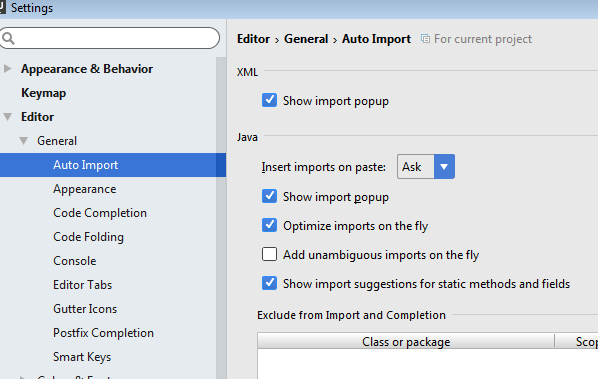 In the popup that appears check the “Optimize imports” checkbox.